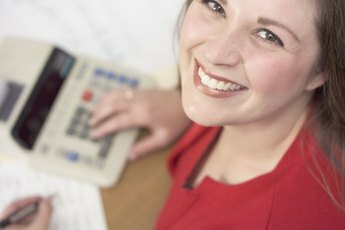 What Does a Second Interview for Teller Position Mean? Receiving a second interview for a bank teller position means the hiring manager believes you're a strong candidate. If you’ve been invited to attend a second interview for a bank teller position, you’re certainly on the right track to getting hired. During your initial interview with the hiring manager or human resources representative, she determined your skill level and experience makes you a strong candidate for the bank teller position. Now it’s your time to prove that you’re the person the bank wants to have interacting with customers and representing the bank to the community. Your first interview with the bank was a way for the company to screen you and ensure that you have at least the minimum skills required to perform the duties of a teller. Now that you’ve passed that test, you’re tasked with showing that you have something the other candidates don’t that will make you the best choice for the bank teller position. After this interview, the hiring manager will narrow candidates down to either a final selection or a very small group of his top choices. You’ve already been deemed as a strong candidate for the bank teller position on paper, so now it’s time to put those skills to work. You may be asked to answer more complicated questions about the bank’s products during this round of interviews, to see how much research you’ve conducted on the institution. Come equipped with at least basic knowledge of the bank’s products like checking and savings accounts, to prove that you really do want to be a teller at this branch. It’s also very possible that you’ll be asked detailed questions on handling customers, as the job requires you to spend your day working with the public. It’s essential that bank tellers are trustworthy, as they have access to both cash and customer’s private account information all day, every day. The hiring manager will likely want to assess your character by asking you some tough questions. Prepare to answer questions on your level of dedication to the bank’s policies, what you would do if you saw a co-worker stealing, and how you would handle situations where your cash drawer is over or under the amount it should contain. Just as it’s important for companies to make sure you have the necessary skills to shine at the position, the bank also wants to see if you will fit into the company culture. The hiring manager not only wants to make sure that she likes you and can envision herself working with you, she may also want to see how you interact with the other bank tellers. Some of your potential new co-workers may join the hiring manager and interview you as a team, so everyone gets the chance to talk with you at length. If she doesn’t do this, it is very likely that she’ll at least introduce you to the others, giving you a chance to meet one another before a hiring decision is made. 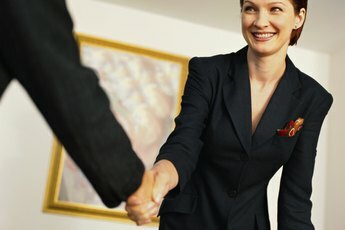 Is Asking for References After the Second Interview a Good Sign?